Henna Cupcakes Stop Motion Video from Tana Gandhi on Vimeo. I was just thinking of how long it's been since I last applied henna and started missing it! Have you ever had henna done? Thanks, Alecia! Hope you get henna done soon :) The cupcake was deliciousss too! 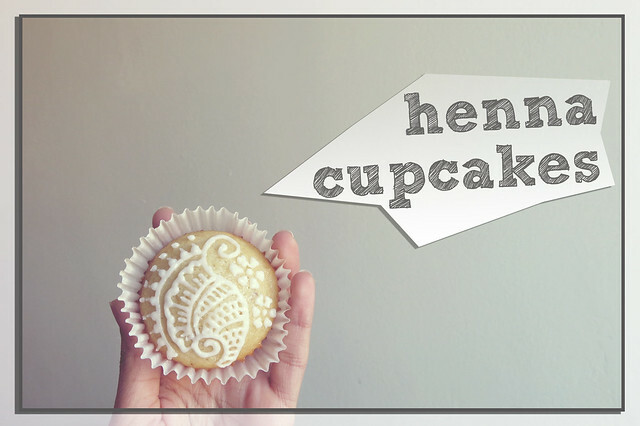 I've never heard of henna cupcakes before, but this really caught my attention! That's such a unique way to decorate food, I'd never thought of anything like that. Looks good, Tana. Thanks, Rachel! We were pretty amused once we let the cupcake dry with the frosting. We almost didn't want to eat it but went for it since there were hazelnuts inside the cupcake!